On the sixth day of historic and decisive phase of anti-nuclear struggle in Koodankulam people buried themselves in symbolic graves. 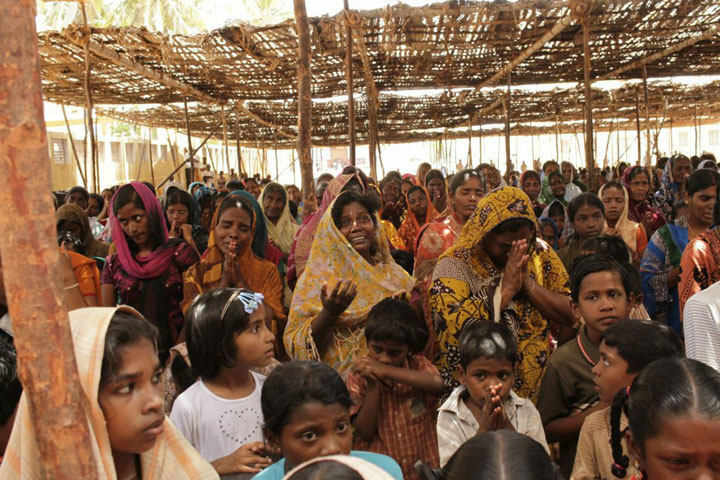 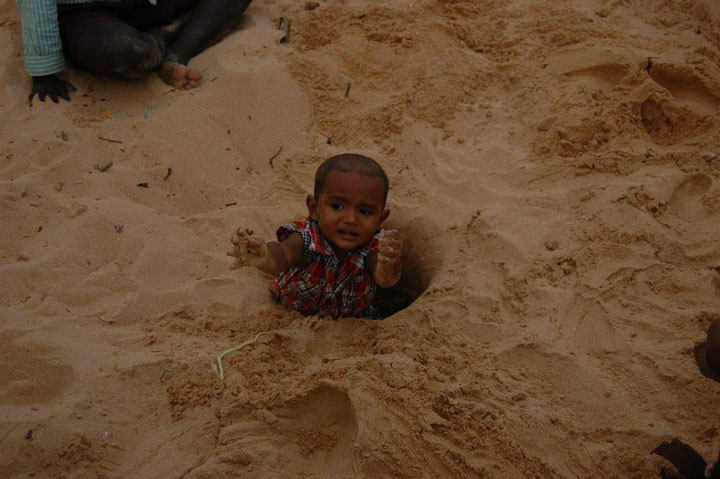 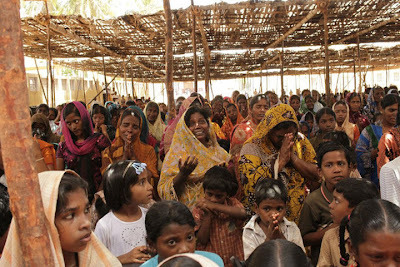 Hundreds of people, including women and children buried themselves in the sand on the sea shore. On the sixth day of the protest against Koodankulam Nuclear Power Plant, Naam Tamilar Kachi leader Seeman extending his solidarity to the protesters and addressed the gathering at St Lourdes Matha Church in Idinthakarai on Saturday evening. 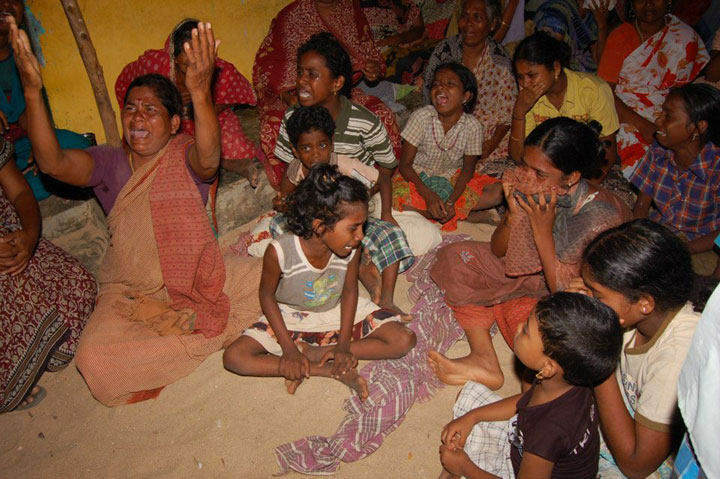 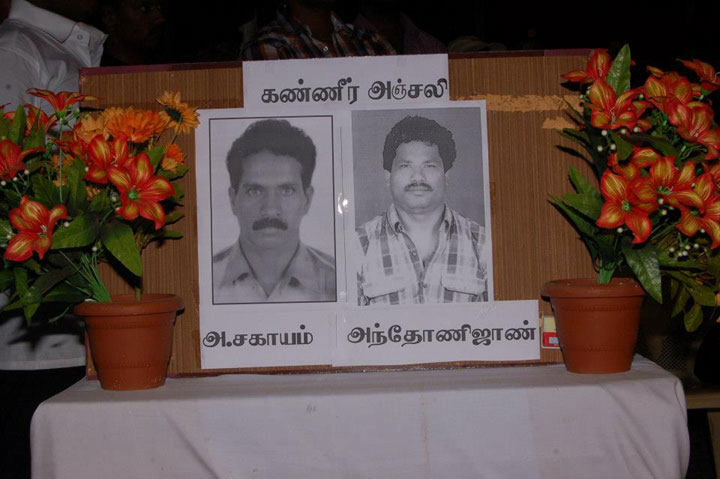 He condemned the aerial surveillance of coast guards in Idinthakarai that led to the death of 38 year old Sahayam. 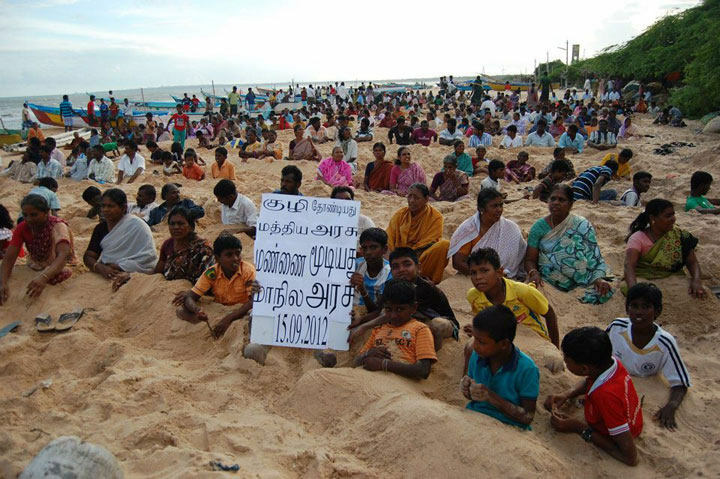 He stated that the fishermen had the right to question chief minister Jayalalithaa, as without them she wouldn’t have won the elections. 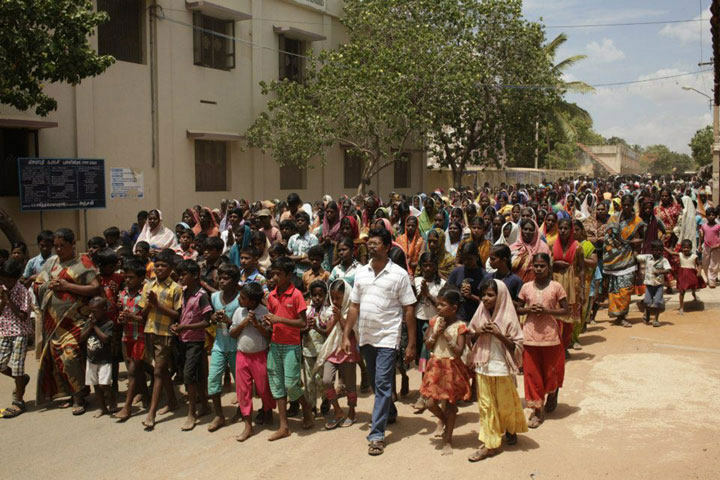 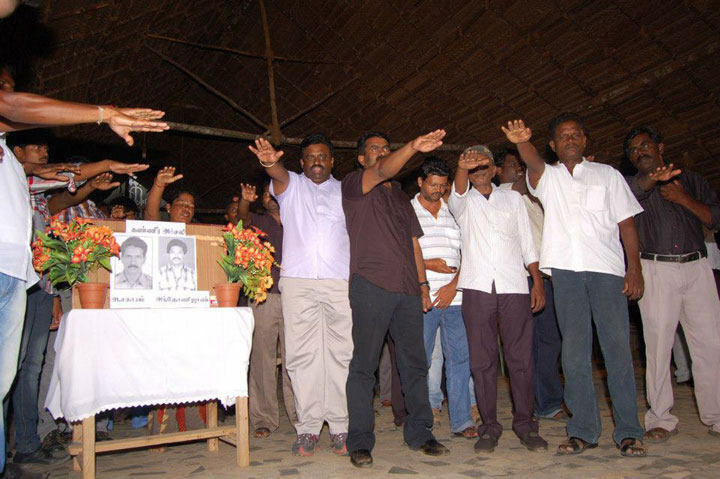 Naam Tamilar Party condoled the death of Sahayam of Idinthakarai and Anthony John of Manapadu. Later, visited Sahayam’s family before proceeding towards to Koodankulam. 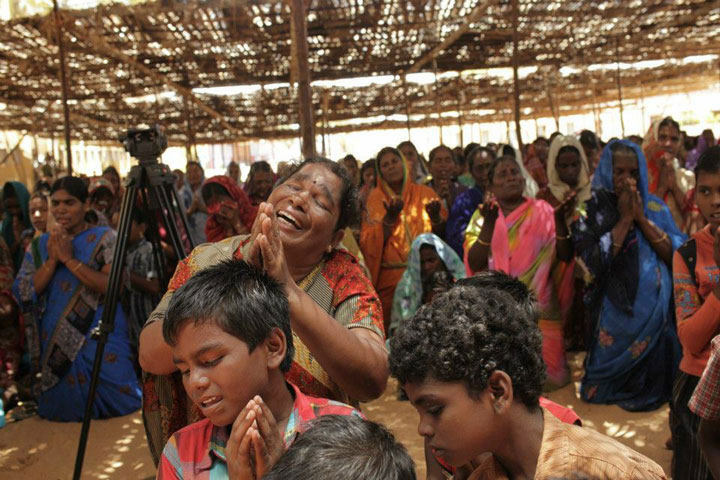 Earlier in the day, villagers held a purification ceremony at St Lourdes Church to cleanse the church where the police had urinated and desecrated the idol of Mother Mary. 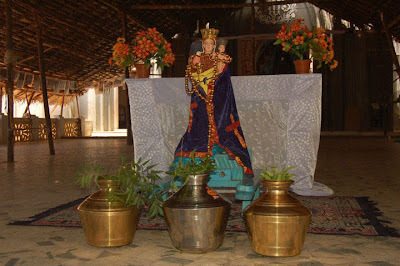 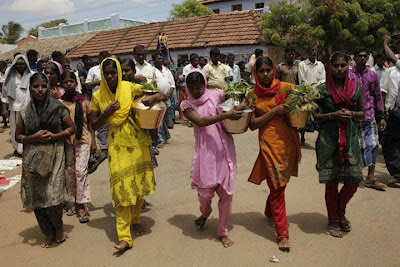 They took out a procession around the village, holding a statue of Mother Mary before replacing the desecrated one and cleansed the church with sea water. 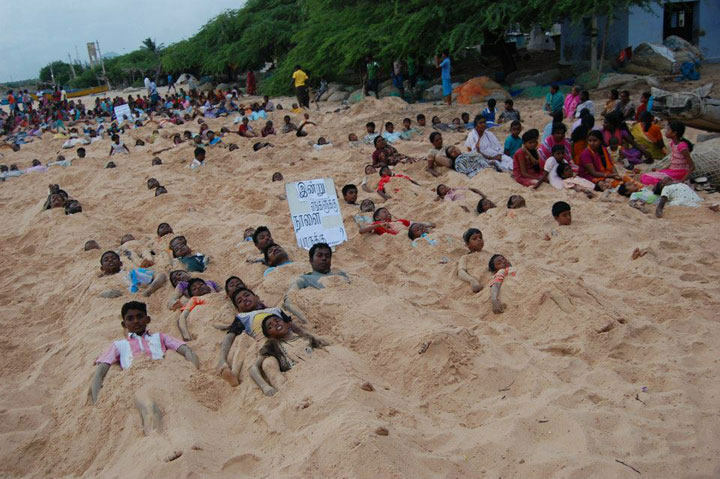 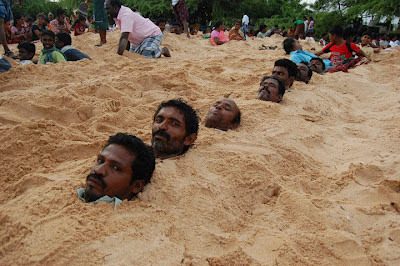 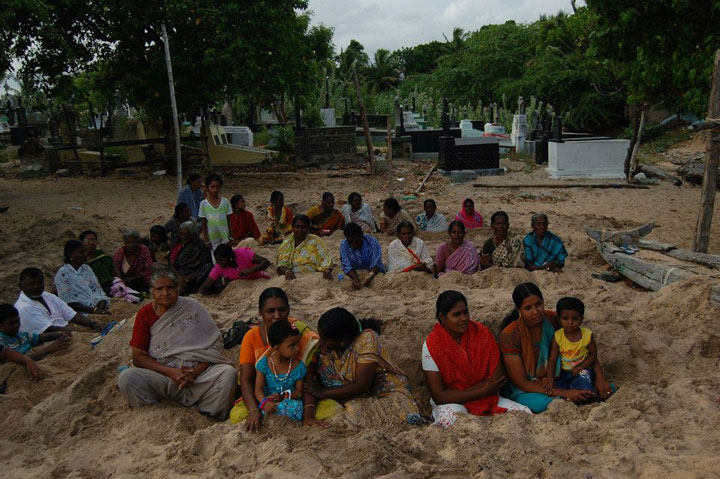 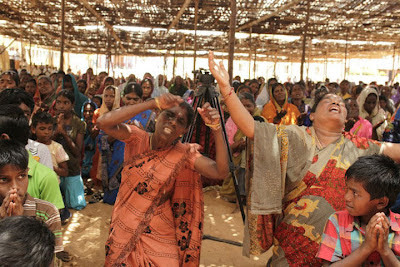 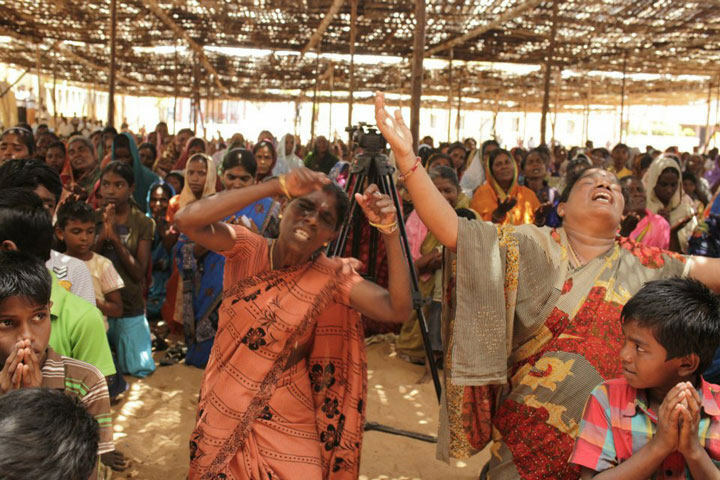 On the other hand, people from Kootapuli village protested against the commissioning of the nuclear plant by digging grave near the sea shore, where the graveyard is located, and buried themselves alive.